Saadiyat Rotana Resort & Villas will be ready to welcome guests this October in Abu Dhabi, UAE. Nestled in the heart of Saadiyat Island, Saadiyat Rotana Resort & Villas boasts chance encounters with Hawksbill Turtles, seahorses, dolphins, dugong and oryx, while being a short 15-minute drive to the city. The five-star resort has made a home on an island that is envisaged as a centre for cultural and heritage experiences, including world-class museums including the Louvre Abu Dhabi. 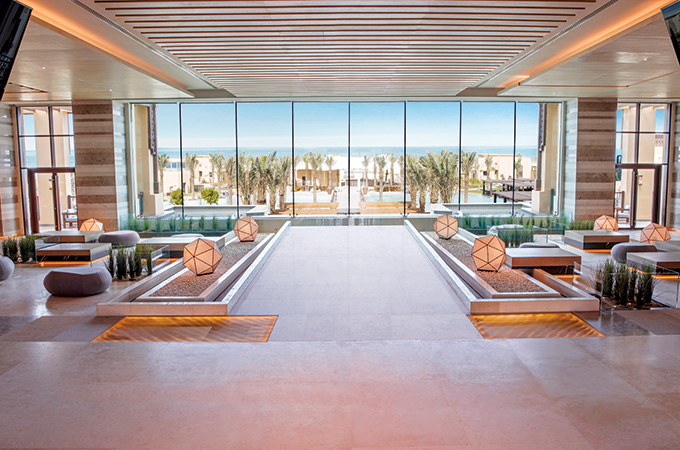 Featuring modern contemporary décor, with Arabian accents throughout, the property boasts a vast, glass-front lobby overlooking Saadiyat’s sweeping beaches, with a sparkling fountain flowing through the resort. 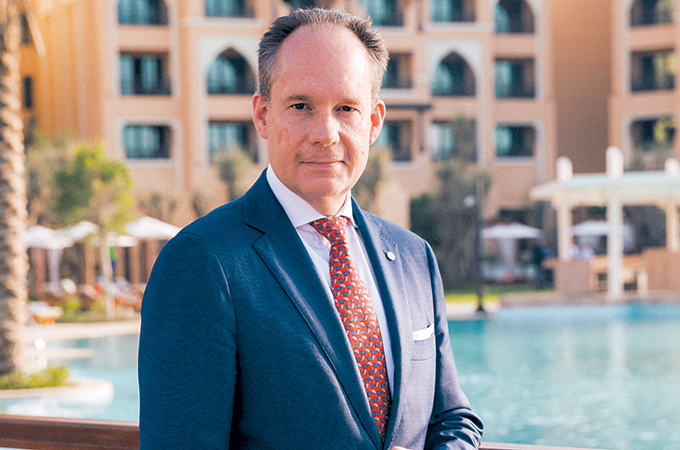 When Saadiyat Rotana first opened this March, TTN was invited for a sneak peek by dynamic and passionate Dutch hotelier Marc de Beer who was appointed general manager of the property. As part of phase one of opening, the rooms of the resort were ready when TTN visited, Turtle Bay Bar & Grill and Sim Sim Restaurant were in operation, Sama Lobby Lounge was serving guests, Bodylines Fitness Club and the pool bar were open; and so was Aladdin’s Cave (indoor section only). The Italian speciality restaurant Si Ristorante is also open now, making it the only such restaurant on the island for now. Zen the spa at Rotana is fully operational, offering 10 luxuriously appointed treatment rooms, traditional Turkish and Moroccan hammam. Nasma Beachfront Bar along with the Almas ballroom are expected to be ready when the UAE welcomes cooler climes this year.